This means that on top of using cream for pimples or other treatments, you may also need to speak with mental health professionals to find out if there are underlying emotional or psychological issues that manifest as persistent skin problems. What’s Behind the Mind-Skin Connection? The mind-skin connection may be news to some, but the mind-body connection is as old as the ancient healing arts. Ancient healers had always treated the body and the mind as one inseparable unit. It was only about 300 years ago when Western medicine viewed the body and mind as two distinct entities. But as 21st century research scientifically demonstrated complex links between the skin and the psyche, the view that body and mind are separate started to change. The relationship between what goes on in your head and in your skin goes as far back as the womb: After all, the brain and skin develop from the same cells. Eventually, some individuals manifest their mental and emotional states on their skin in the form of acne vulgaris, rosacea, psoriasis, eczema, vitiligo, and even hair loss and hair pulling. There are numerous nerve endings that wrap around the organs and are connected to the skin, so it’s not unusual that stresses played out neurologically show up as skin conditions. This is the same mechanism at work when people develop ulcers or endure insomnia in response to high levels of stress. In particular, elevated cortisol, the stress hormone, pumps up the skin’s oil production, making those who are prone to acne or already have it more vulnerable to flare ups with shifts in their anxiety levels. This is because acne occurs as a result of build-up of dead skin cells and overproduction of sebum (oil), which together makes a fertile breeding ground for bacteria. A skin care specialist typically prescribes putting active acne under control first to prevent the formation of new acne scars. You need active ingredients like azelaic acid to stop the growth of skin bacteria, and salicylic acid to prevent pores from getting clogged. You can find these ingredients in Dr. Sylvia Skin Care Purifying Aza Cleanser and Toner, which also contains bio-sulphur to help regulate hyperactive sebaceous glands that often make acne worse. Chemical peels have also been shown as effective in treating active acne, but they traditionally work best on light skin types. If you want to have acne scars removed along with other issues (such as freckles, age spots and fine lines) and you have a darker complexion, consider getting Dr. Sylvia’s VI Peel. VI Peel is a popular chemical peel in Singapore that has been formulated to work on a much deeper level than traditional chemical peels, and has high safety and efficacy profile on all skin types. You can get the ‘VI Peel treatment’ at the clinic of Dr. Sylvia Ramirez, a Harvard-trained dermatologist in Orchard area, Singapore, who develops evidence-based programs to achieve healthy and young-looking skin. It’s crucial to have a sympathetic skin care specialist when you want your pimple scars removed, or if you are suffering from any other type of skin condition that negatively affects your self-esteem. 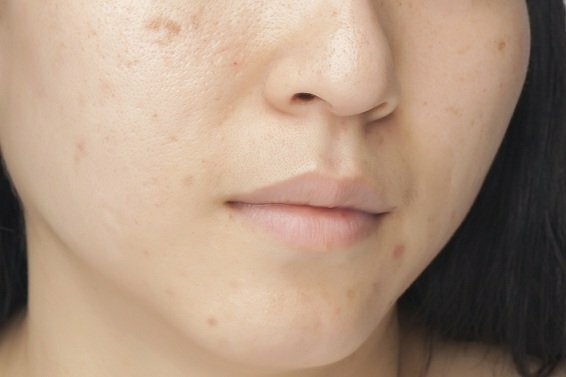 As psychodermatology is starting to demonstrate, pimple removal for some people may require more than just going to a medical aesthetic clinic. In keeping with the philosophy of mind-skin connection, the use of mind-body therapies such as self-hypnosis, guided imagery, tai chi and meditation may prove beneficial to those who do not easily respond to standard acne treatments.